This affiliate program is closed. Quartz Affiliates is the casino affiliate program for Quartz Casino. Quartzcasino.com is powered by many of the well known casino software companies around. This list includes Microgaming, Cryptologic, NYX Interactive, Next Gen Gaming, Rabcat, Push Gaming, Progress Play and Quick Spin. This allows the casino to provide RNG games along with live dealer games and mobile casino giving Quartz Casino the complete online casino solution for players. 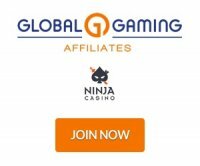 New casino webmasters get a 40% revenue share commission for the first month. The program also has no negative carryover. Affiliate payments are all done by bank wire for the moment. The program has it's own custom backend which is extremely easy to use as you have everything in one single interface. This includes banners and tracking links, stats for the year, payments due and you rolling statistics showing clicks, real players, FTDs and Commission. For any other marketing materials you need just reach out to your assigned affiliate manager. Quartz Casino was launched in 2014 and aims to be a premier casino destination which affiliates should appreciate. The casino has all the features a casino player could want making the conversion and retention process for you even easier.